Rangers End Skid, Whalers Fest, and More! Hey Ranger fans… you can breath again after beating the Pittsburgh Penguins by a score of 5-3 and putting a halt to a season high 6-game losing streak. Those who were thinking about jumping off a cliff or off the bandwagon should relax. I know it’s only one win, but really folks knee-jerk reactions about the state of the team are just silly. Remember losing streaks happen in the NHL and how your team reacts to them shows what kind of personality they have. We will soon see how the Rangers deal with it. Are they out of the woods? Of course not, but they are still in a decent position to make the playoffs. The team is finally getting most of their roster back minus a couple players and what is needed is finding that chemistry that made the Rangers a tough team to play against for most of the year. With the time off between Penguins game and the Kings game coming up on Thursday at MSG, hopefully the coaches and players reacquainted themselves during the practice sessions. Having a familiar lineup is the key to any team’s success and the Rangers are no different. What I’d like to see is line combinations that stay together and the PP chosen few the same. With games dwindling, this team needs to find that cohesive togetherness that made them a hard team to play against. On to other NHL news. I have a few thoughts about Mario Lemieux’s comments after the brawl with the Islanders last week. First off, I totally respect Mario for what he has done as a player in his HOF career. All of us who had the great fortune of playing in the NHL wished we could have had the ability and skill of a Mario Lemieux. No one can deny that. I do realize that some cheap shots were obviously taken by the Islanders and they were subsequently dealt with fines and suspensions. That being said, I believe that his timing was very suspect to say the least. 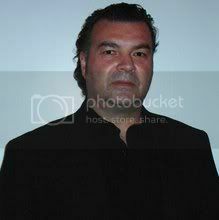 Not one time in his tenure as an owner has Mario ever spoke out about any of the transgressions that any of his players that he has employed. If Super Mario feels that strongly about what happened in Long Island… then why doesn’t he take the lead and start by purging players on his team like Cooke, Goddard, Rupp, Engelland, Asham and see how that works out for him? Self-serving? Hypocritical? Certainly looks that way to me. As most of you know, I will be playing with the Hartford Whaler Alumni against the Boston Bruin Alumni this Saturday in the Whale Bowl at Rentschler Field the outdoors home of the UConn Huskies Football team. The game will take place before the CT Whale/Providence Bruins AHL game. 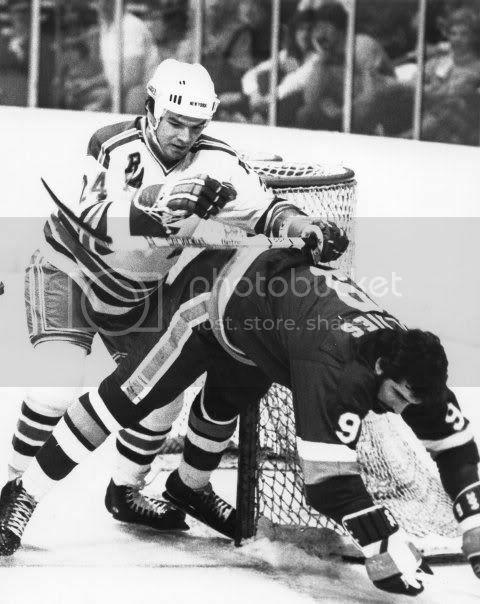 I’m looking forward to seeing some of my former teammates and the die hard Whaler fans. Howard Baldwin and Howard (Bubba) Baldwin Jr. are the masterminds of the great event and have put in a ton of hard work and money to put this event on. It’s a showcase for the city of Harford and the state CT. So don’t be afraid to show up and let’s break the outdoor record for attendance for an AHL game. Check out the link! Don’t forget to check out the “Instigators Radio Show”. Tuesday night 8:30 with my co-host Pauly D and I as we talk everything hockey. Just hit the link below. Over and out! Well Ranger fans the New York Rangers have hit a critical point in the season. After losing 5 in a row the Rangers find themselves treading water playoff-wise heading into a huge match up in Atlanta with the Thrashers Friday night. Carolina, Atlanta, Buffalo and even Florida are fast on the Ranger’s tails. Is it time to panic, as many of my Ranger friends have suggested? I think not. Is there reason for concern? Absolutely! The Rangers have played with effort and energy- there’s no denying that. What they haven’t been able to do during this losing streak is score goals. Plain and simple. Let’s break it down a little bit here. 1st the Big guns have not, and I repeat have not, pulled their weight in producing offense that the team desperately needs. We can all look to Marian Gaborik as the lead man and his lack of production and the trickle down effect goes right down the line of the roster from there. 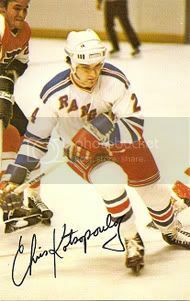 Gaborik needs to pick up his game and lead the Rangers in scoring, that’s what he does and from there the rest will fall into place. Second, how about crashing the net and creating more traffic in front of the goaltender? More goals are scored from a few feet out than any other place on the ice. It may be down right ugly, but it sure is effective. Other thoughts I have at this point of the season. One thing that I’m sure of is you can’t point fingers at the goaltending with Henrik Lundqvist as the lead man and Martin Biron. They are, in my opinion, as good a tandem in the entire NHL. Has there been night’s where the “King” has looked less than stellar? For sure. Overall though, in my humble opinion, there is really no concern in this area. The defensemen on this team have done an admirable job all season and really surprised most us with their play. Once again no problem there. Now if you want to talk about the PP that’s another story… Yes you can point a huge finger in this area. I do know one thing about Power plays and that is you can’t SCORE if you don’t SHOOT the puck. I know I’m beating the dead horse here, but really stop with the “Euro I’m going to paint you a pretty picture perfect goal” attitude on the Power Play. PASS PASS PASS… No shots, just keep passing it. Drives me nuts! If you watch the successful PP’s in the league they shoot the puck every chance they get. Why is this? Well maybe it’s because most goals that are scored on the PP come from rebounds and deflections. Duh! 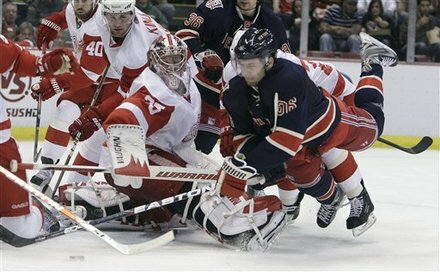 The Ranger players have got to start shooting the puck and forget about painting a picture. 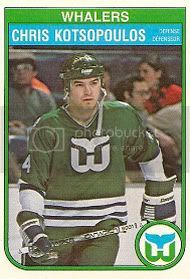 This past Tuesday, Pauly D and I had the great pleasure of talking with Hartford Whaler legend Blaine Stoughton on our “Instigators Hockey Show”. 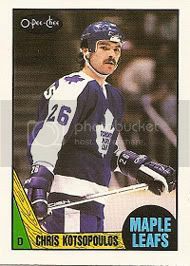 “Stash” as he is commonly referred to, also played a short time with the New York Rangers. The show was filled with stories and laughter. It is a must listen You can go back and listen to the show by hitting the link below. Finally, I’m looking forward to the Rangers game on Friday night. This game will tell us plenty about the Rangers and where they are heading. Feel free to make your voice heard here on “Kotsy’s Korner” by adding your 2 cents. I dare ya! Over and Out!